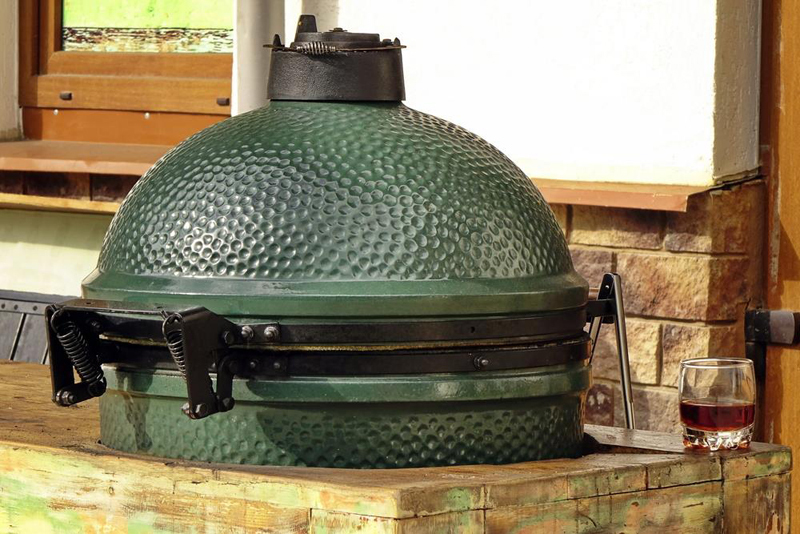 The Big Green Egg is a very popular ceramic kamado-style charcoal grill. It is big, green, and shaped like an egg, hence the name. This outdoor grill comes in several sizes, at a wide range of prices. The reason why this is very popular is that it can reach high temperatures due to the ceramic shell and it can hold low temperatures at the same time. 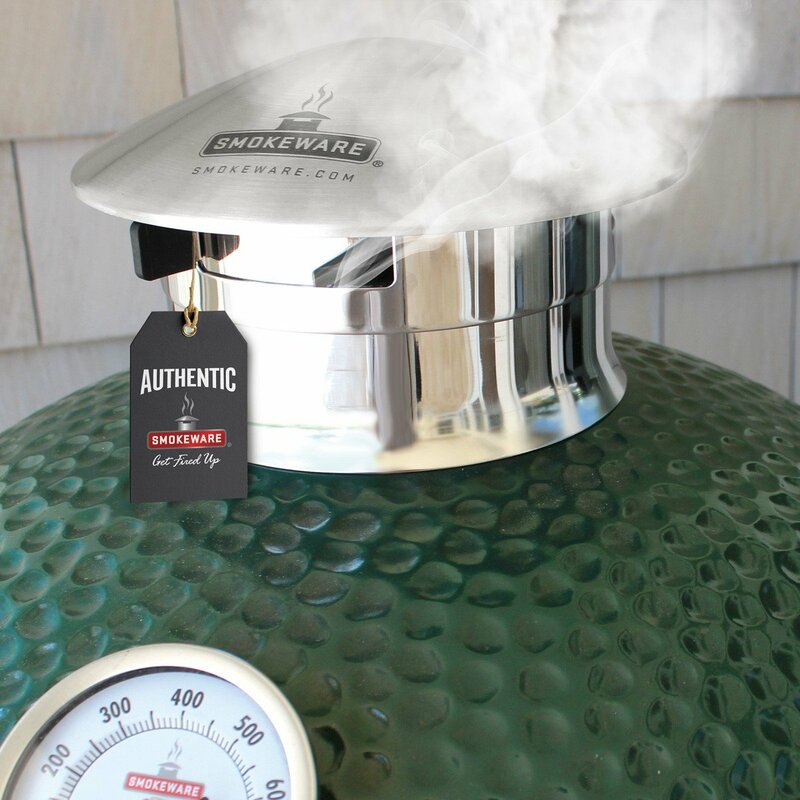 Whether you saw it in your neighbor’s backyard or in an advertisement, this post will give you information on how much is a big green egg. As this grill has several sizes, I will be discussing each size’s price range. I hope that after you read this post, you will be encouraged to buy one for you and your family’s enjoyment. How Much Is A Big Green Egg? The Mini Egg is ideal for tailgating and picnics and is a very popular size for grilling on balconies, camping, or boating. For its specifications, its grid diameter is 10 inches, cooking area is 79 square inches, and it weighs 36 pounds. The Mini Egg is perfect for cooking 2 chicken breasts, 2 pork chops, or 1 steak. The 10-inch Mini version of the Big Green Egg will cost you $399.00. The Mini Max Egg can be used if you want to take it for a camping trip. It is designed to perform and is travel-ready. For its specifications, its grid diameter is 13 inches, cooking area is 133 square inches, and it weighs 76 pounds. The Mini Max Egg will be able to cook a 12-pound turkey, 4 burgers, 1 vertical chicken, 2 steaks, or a rack of ribs. The 13-inch Mini Max version of the Big Green Egg, which also comes with a sturdy and easy to grip carrier, will cost you $599.00. 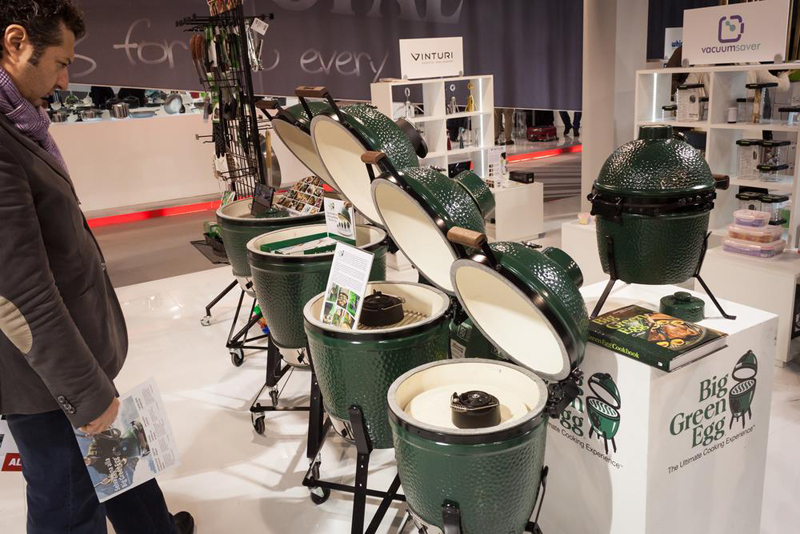 The Small Egg is a compact outdoor grill, which is perfect if you have a small balcony or patio. This version is popular for being a companion grill for the other bigger Eggs, as it allows preparation of several courses all at once. It is also interesting to know that some restaurants rely on the Small Egg because it fits a commercial kitchen. For its specifications, its grid diameter is 13 inches, cooking area is 133 square inches, and it weighs 80 pounds. The Small Egg will be able to prepare a 12-pound turkey, 4 burgers, 1 vertical chicken, 2 steaks or a rack of ribs. This 13-inch Small version of the Big Green Egg will cost you $399.00. If you are planning to cook for a small gathering, the Medium Egg might be the right size. In addition, it will be able to accommodate the brand’s most popular accessories such as the convEGGtor, as well as the Pizza & Baking Stone. The Medium Egg is a versatile and efficient grill for a backyard cookout. For its specifications, its grid diameter is 15 inches, cooking area is 177 square inches, and it weighs 114 pounds. The Medium Egg will be able to cook an 18-pound turkey, 6 burgers, 3 vertical chickens, 4 steaks, or 4 racks of ribs. This 15-inch version of the Big Green Egg will cost you $659.00. The Big Green Egg Large is just the perfect size for almost all family and party grilling needs. It can also accommodate all of the brand’s accessories for roasting, baking, and smoking. You can use this versatile outdoor grill for cookouts and pizza parties, as the cooking area is large enough for multiple food items at once. For its specifications, its grid diameter is 18.25 inches, cooking area is 262 square inches, and it weighs 162 pounds. The Large Egg will be able to cook a 20-pound turkey, 12 burgers, 6 vertical chickens, 8 steaks or 7 racks of ribs. The large version of the Big Green Egg will cost you $849.00. The Big Green Egg XL will be able to cook food for large families or cookouts. It also can let you efficiently prepare several meals at the same time. For its specifications, its grid diameter is 24 inches, its cooking area is 452 square inches and it weighs 219 pounds. The XL version of the Big Green Egg can cook two 20-pound turkeys, 24 burgers, 11 whole chickens, 12 steaks or 12 racks of ribs and will cost you $1,199.00. The limited edition Big Green Egg XXL can handle a large family reunion or gathering, as it is large enough to catering or restaurant needs. Like the XL version, it will also be able to prepare various meals at the same time. It has a grid diameter of 29 inches, its cooking area 672 square inches, and it weighs 424 pounds. 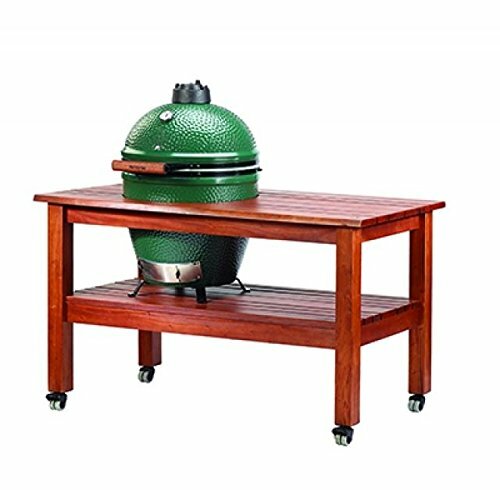 The XXL version of the Big Green Egg will be able to cook 35-40 pieces of burgers, 14-16 whole chickens, 18-20 steaks, 20 racks of ribs or 1 pig. This limited edition Egg will cost you $3,999.00. If you were curious on how much is a Big Green Egg, you just have to refer to the price listings in the above section. I have provided you some of its specifications, as well as each grill’s cooking capacity. Choosing the right size and price is easy, especially if you already know the quantity of food you will be preparing. Did you have fun reading this post? If you have anything more to add, please leave a comment below. Does Red Wine Vinegar Go Bad: Can You Still Use It? How Long Does Oil Last: Can You Still Use It? How to Use a Veggetti: Do It Like a Pro!